The Miss Heart of Blossomtime Pageant originated in 1992 & gives young women from communities that do not host a pageant the opportunity to compete for Miss Blossomtime. Some of these communities are: Allegan, Dowagiac, Covert, Fennville, Mattawan, Marcellus, Niles/Brandywine, Three Rivers, Vicksburg & surrounding communities in Southwest Michigan. 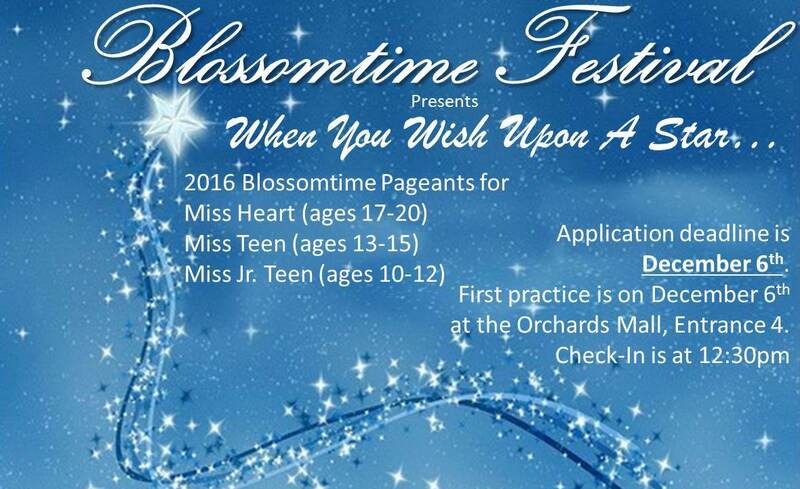 Miss Heart of Blossomtime 2016, Miss Teen Blossomtime 2016, and/or Miss Jr. Teen Blossomtime 2016, please click HERE!